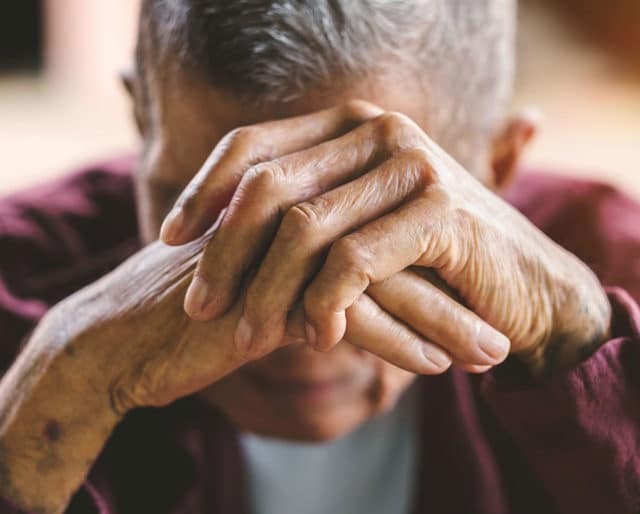 It can be hard to imagine that anyone would deliberately want to harm an elderly person, but unfortunately, elder abuse does occur. Some instances of elder abuse are intended to exploit the person financially; you’ve probably heard of scams targeting seniors. In other cases, caretakers simply don’t provide the basic necessities, like nutritious food, appropriate medication, safety, or assistance with hygiene. Help spread the word this June 15, which is World Elder Abuse Awareness Day. If you see something, say something. Bedsores, bruises, or chafing could indicate that your loved one is being restrained to a bed or wheelchair, or otherwise physically abused. If he or she has recently lost weight, malnutrition or dehydration could be at play, while poor hygiene is also an indicator of possible abuse. Watch, too, for changes in the person’s mood; if they seem depressed, anxious, agitated, or listless, see if you can discover why. In short, any changes to an elder’s behavior, disposition or physical condition could be cause for concern. If you do detect signs of abuse, document them. Take pictures of bruises or injuries, get a statement from the victim or any witnesses, and keep a log of any suspicious behavior or circumstances. You can then address your concerns with the manager or director of the long-term care facility or home care provider; if they do not take action, contact the police or an elder abuse attorney. It might seem counterintuitive to help prevent the abuse of elders using tools that are largely considered the domain of younger generations, but there’s really no better way to get the word out and foster awareness than through social platforms. Share informational articles on Facebook and use the hashtag #WEAAD on Twitter. Many seniors are not in a place to stand up for themselves, whether it's because they're physically frail or because they're scared of speaking up and fear repercussions. It’s crucial for all of us to be on the lookout for signs of elder abuse, and to speak up if something seems wrong. In so many cultures, elders are revered —and rightfully so. Their experiences, memories, and perspective on life are valued for the lessons that younger folks can learn. And if older people aren’t encouraged to pass along the skills and wisdom they have accumulated during their lives, then the culture as a whole suffers. We owe it to older generations to ensure that their so-called Golden Years are not tarnished by neglect. It's easy to see bad things and not say anything—whether that's senior abuse, or a mugging on the street. But this holiday reminds us just how important it is to look after, and look out for, our fellow humans. It reminds us to exercise compassion on a daily basis, and care about others rather than just ourselves.